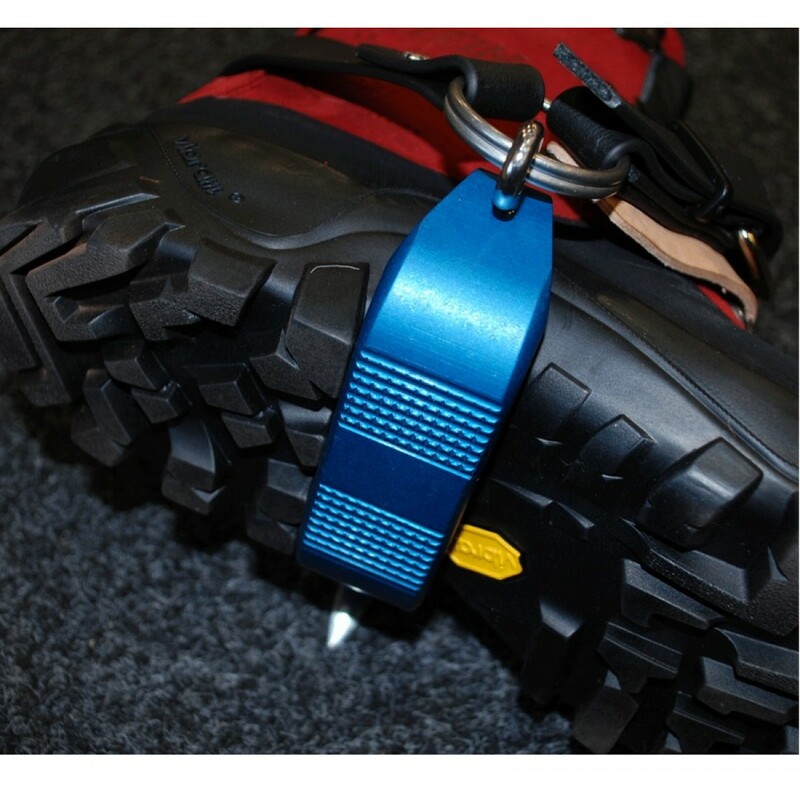 The STEIN X2 Aluminium Climbers are truly a lightweigth set of climbers at only 1095gm* in weight. 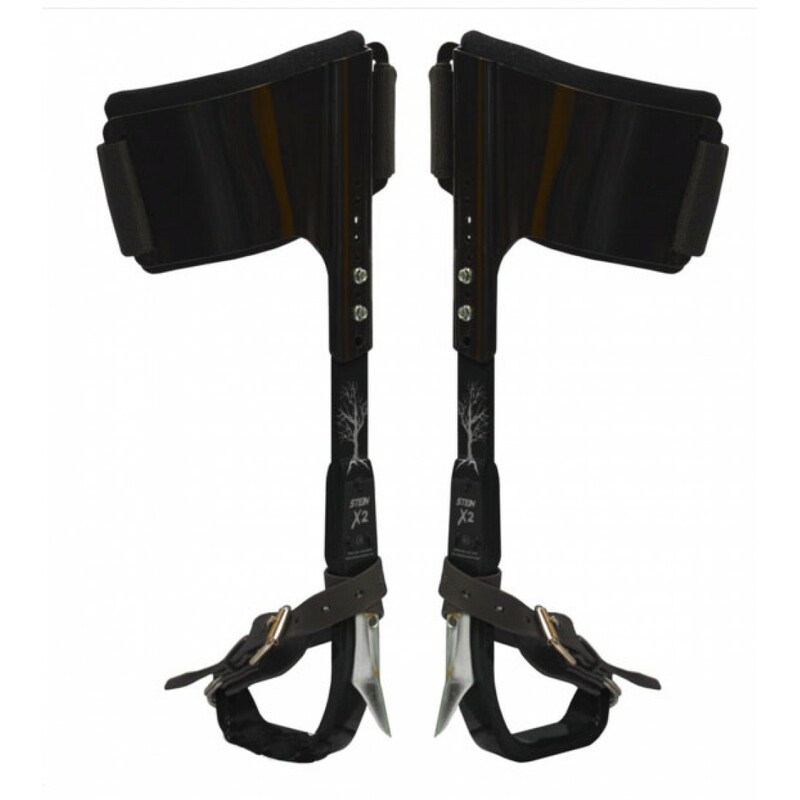 These have been designed with the taller climber in mind. 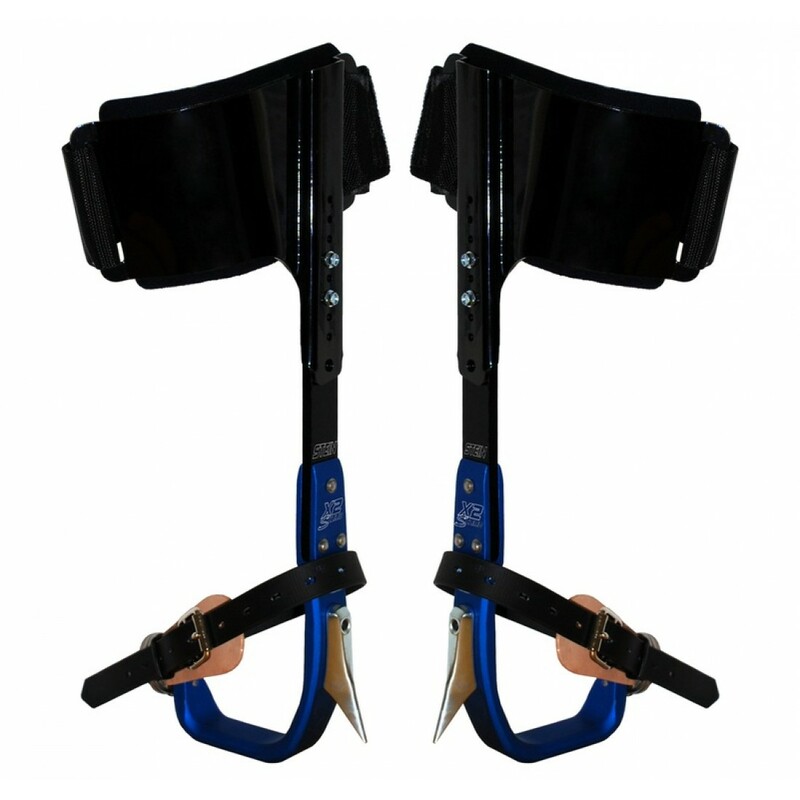 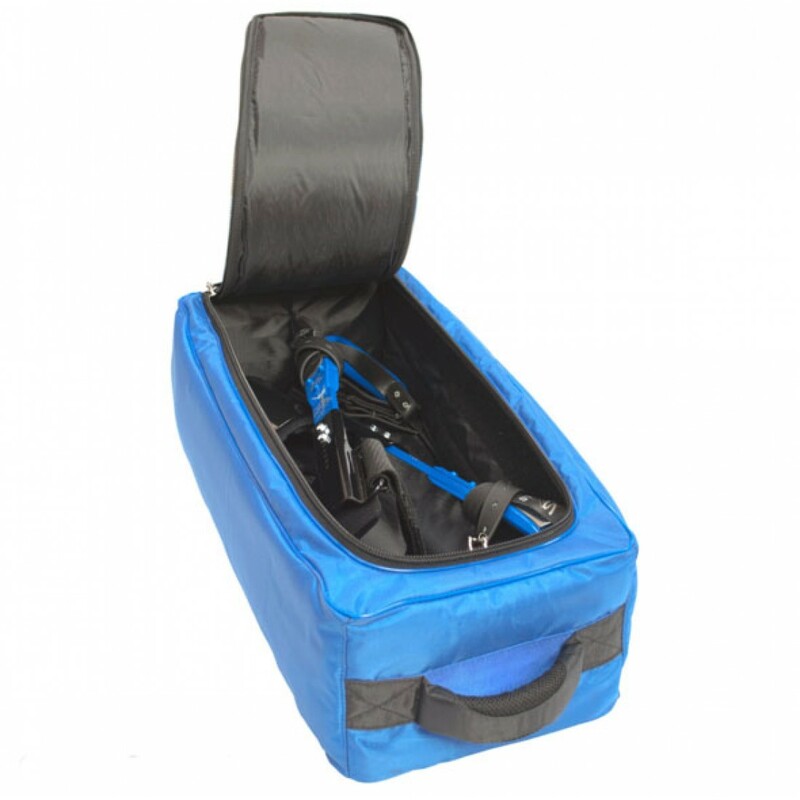 The pad adjusters have been increased by 50mm to accomodate those with longer legs. 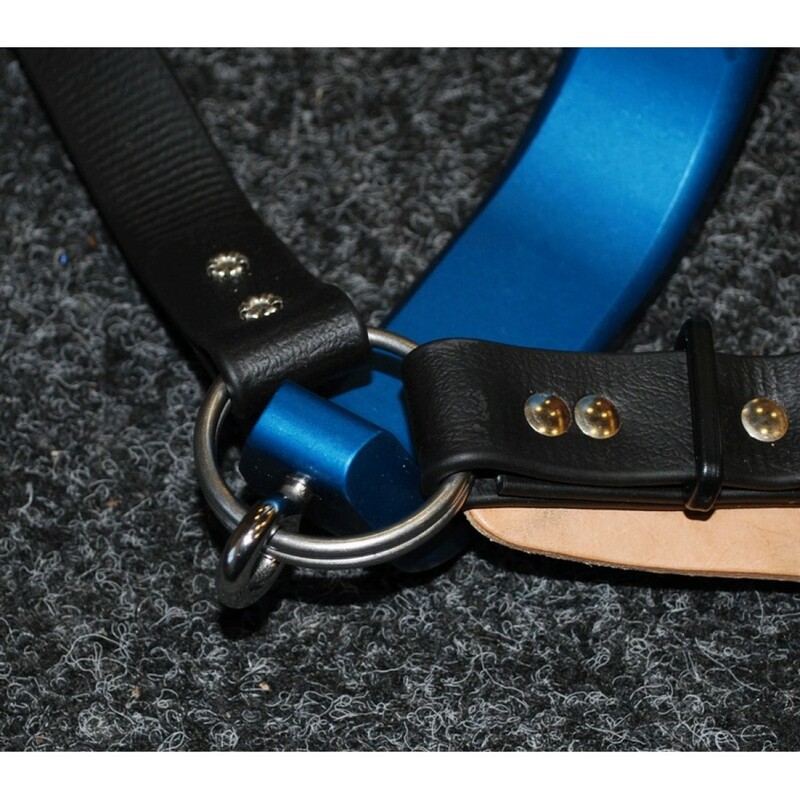 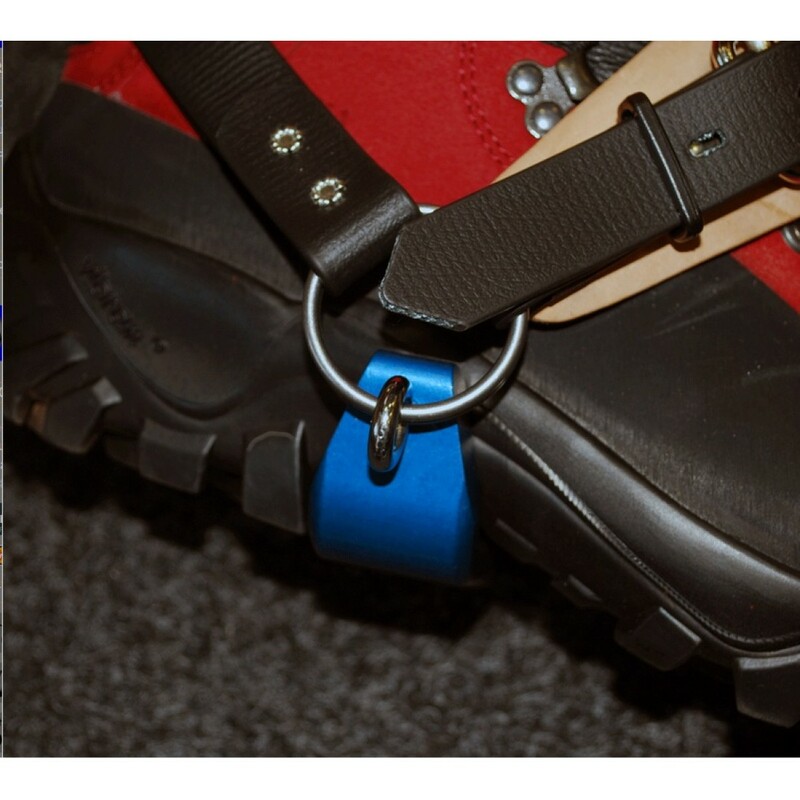 The ring on the base straps is made from a new curved stainless steel ring and the climber has been tappered to allow the ring more freedom of movement.